Hang on! It's whitewater ahead! You'll get wet and enjoy every minute of it as we head for Healy. 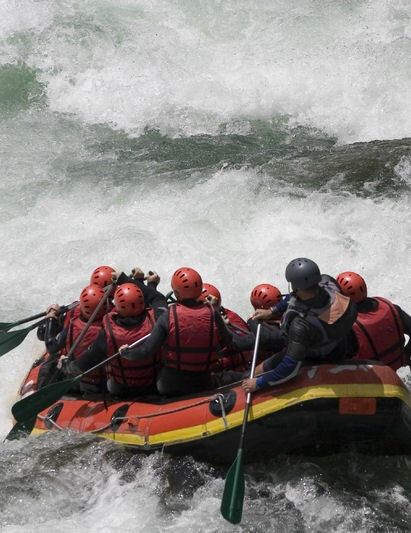 Get into real whitewater rafting as you hang on through thrilling rapids. A knowledgeable river rafting guide will lead you, and state-of-the-art gear will be available for your use. What an experience!! Get ready for the rafting adventure of a lifetime! Please note: Transportation to the Denali park meeting location is not included. You must get your own taxi to the park from the pier.